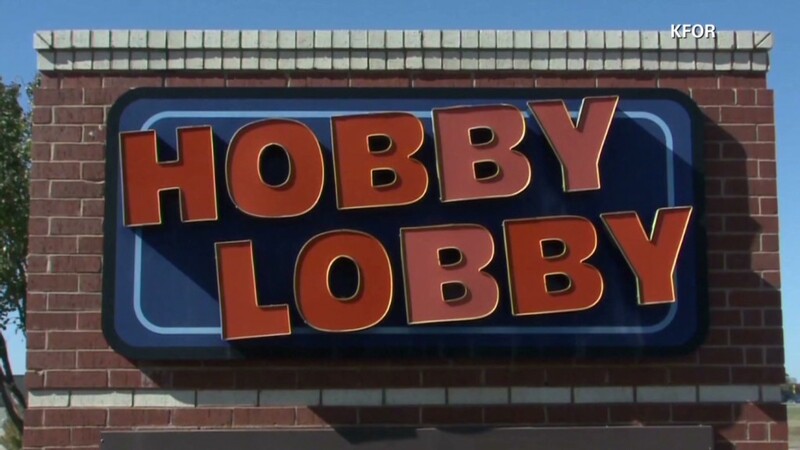 Hobby Lobby is a craft store chain that says it operates "in a manner consistent with Biblical principles." Those values extend throughout its business, except when it comes to the company's retirement plan. The company refuses to cover contraception methods for its employees that it views as abortive such as Plan B and Ella. Hobby Lobby fought the Affordable Care Act's mandate that businesses pay for birth control all the way to the U.S. Supreme Court and won this week. "It's been a long journey, but an important one for our family and for those who wish to be guided in all areas of life, including their businesses by faith and conscience," Hobby Lobby co-founder Barbara Green said in a statement on YouTube after the ruling. Hobby Lobby's founders have made it clear that any abortion and certain contraceptives are unacceptable in their eyes, yet the company's 401(k) plan has millions of dollars invested in funds that own the companies that make birth control methods including Plan B, the so-called "morning after" drug. Like many companies, Hobby Lobby offers its employees a 401(k) plan. Over 13,000 past and present employees have taken advantage of that plan, according to the latest documents filed with the Department of Labor. Employees have the option to put their retirement dollars -- and the money that Hobby Lobby contributes on their behalf -- into over a dozen different mutual funds. At least eight of those funds have been invested in companies that produce contraceptives such as Teva Pharmaceutical (TEVA), Bayer (BAYRY), and Pfizer (PFE), according to a CNNMoney analysis. Teva makes Plan B. At least one fund also held Forest Laboratories, which makes a drug that is used to induce abortions. These are huge drug companies that make many different medications. Contraceptives are only part of the mix, and the investment funds have very small stakes in these pharmaceutical firms overall. Hobby Lobby has not responded to CNN requests for comment about its retirement plan. Mother Jones broke the story about the company's 401(k) plan in April. How Hobby Lobby can avoid investing in birth control: There are ways Hobby Lobby could strip out investments dealing with contraceptives. For example, an investment management firm called Ave Maria Funds offers a "Catholic Values" fund that "screens out two major categories of companies: those involved with abortion and those judged to be anti-family, such as companies which distribute pornographic materials or whose policies undermine the Sacrament of Marriage." The most recent information available on Hobby Lobby's retirement funds comes from a 2012 filing with the Department of Labor. At that time, Hobby Lobby used American Funds, T. Rowe Price and Vanguard to manage its money. Another option for the company would be to ask its providers such as Vanguard to create a custom portfolio, sometimes dubbed a "separately managed account." This would essentially put Hobby Lobby's funds into their own bucket and give the company more control to forbid investments in firms like Teva. That said, any time you ask for something special, it often costs more. "While it would be possible to create some kind of custom portfolio, I don't know that that would be feasible in 401(k)-type account given the costs involved. It's probably doable, but expensive," says David Blanchett, the head of retirement research for Morningstar Investment Management. Figuring out what companies are acceptable and which ones are not is also tricky. Most of the funds Hobby Lobby offers employees are "actively managed," meaning someone is picking stocks and likely moving them in and out of the portfolio regularly. While Teva and Pfizer might be off-limits, what about a company like Aetna (AET)that is a health care insurer, but puts Plan B on its preferred drug list?